Package manifests are .composer files that can be used to create package sources from the software installed on your computer. They can also be used to capture settings configured on your computer, such as Dashboard, Display, and Global Preference settings. Composer comes with over 100 package manifests. You can use the update feature in Composer to add new package manifests as they become available. You can also create your own package manifests and import package manifests that are stored on your computer. Click the disclosure triangle next to an existing package source. Click the disclosure triangle next to Snapshots. Control-click (or right-click) Files For Package and select Export Package Manifest. Enter a name for the package manifest. Enter a description of the package manifest and the name of the person who is creating it. Select the checkbox next to each file that must be present on a computer for the package manifest to appear under the Pre-Installed Software heading or the User Environment heading in Composer. If desired, select the Custom Icon checkbox and choose an icon for the package manifest. 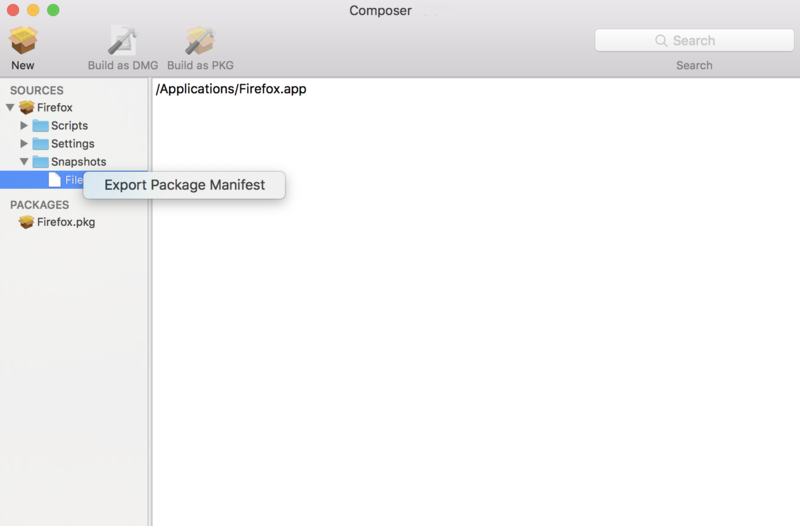 The icon is displayed when viewing the package manifest in Composer. Click Upload to Jamf Nation. Enter the username and password for your Jamf Nation account. Choose a third-party product to associate the package manifest with. For example, if you are creating a package manifest for Adobe Reader 10, associate it with the "Adobe Reader" third-party product. Choose a location to save the package manifest and click Save. Periodically, new package manifests become available for Composer. To ensure that you have the latest package manifests, choose File > Update Package Manifests from the menu bar in Composer. 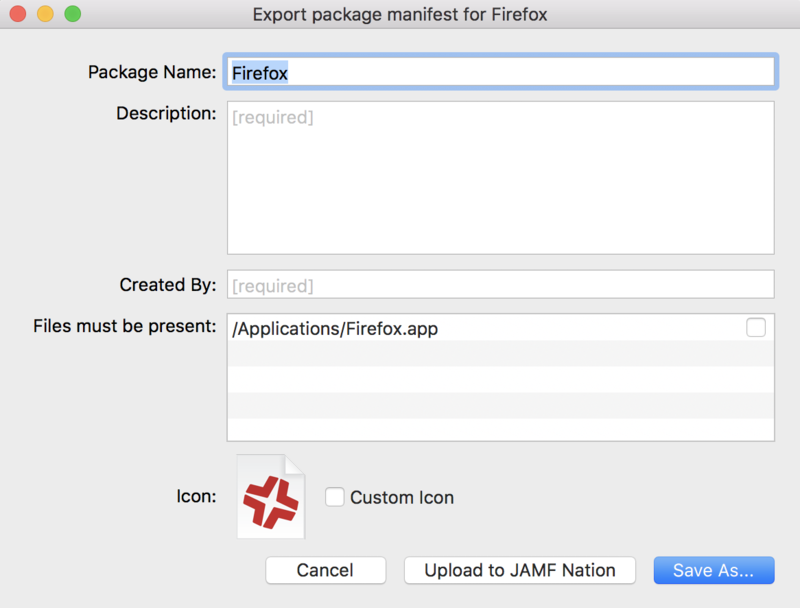 If you do not want to add all package manifests from Jamf Nation to Composer, you can download one or more specific package manifests from Jamf Nation and import them to Composer. You can also import package manifests that you created. To import package manifests that are saved to your computer, choose File > Import Package Manifests from the menu bar in Composer and then choose the package manifest you want to import.